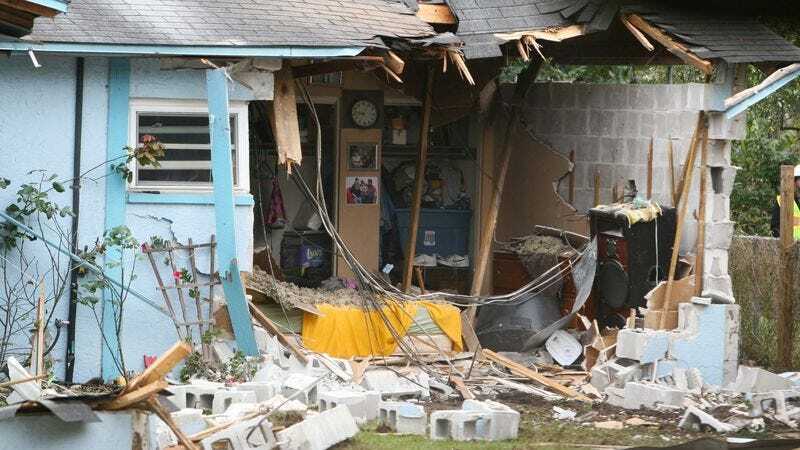 SEFFNER, FL—Following a Florida man’s sudden death last week after his bedroom collapsed into a 20-foot-wide sinkhole, the possibility of a giant cavity in the earth opening up and swallowing your entire house has now reportedly been added to the list of things one must worry about on a day-to-day basis. “Well, on top of everything else, it looks as though I now have to be legitimately afraid of the earth itself suddenly consuming my house, my family, and everything I own,” said local man Jared Palmer, 38, who noted that his usual list of everyday financial, parenting, social, and mortality-based phobias was only compounded by the prospect of being helplessly sucked into a subterranean cavern. “Sure, why not? I already spend most of my day worrying about disease, home invasions, hurricanes, and car accidents. I could use a few hours to bat around the idea of the very ground beneath my feet eating me alive.” Urging the public to remain calm, government officials issued a statement indicating that while falling into a sinkhole and dying is indeed a possibility, the average American is far more likely to die from a lack of adequate health care, in an exchange of gunfire, or while in prison.